Power Boating is exhilarating. Whether you are looking for some exciting action on the water or want to explore the beauty of the underwater spectacle the Maldives has to offer, this would be the perfect opportunity. 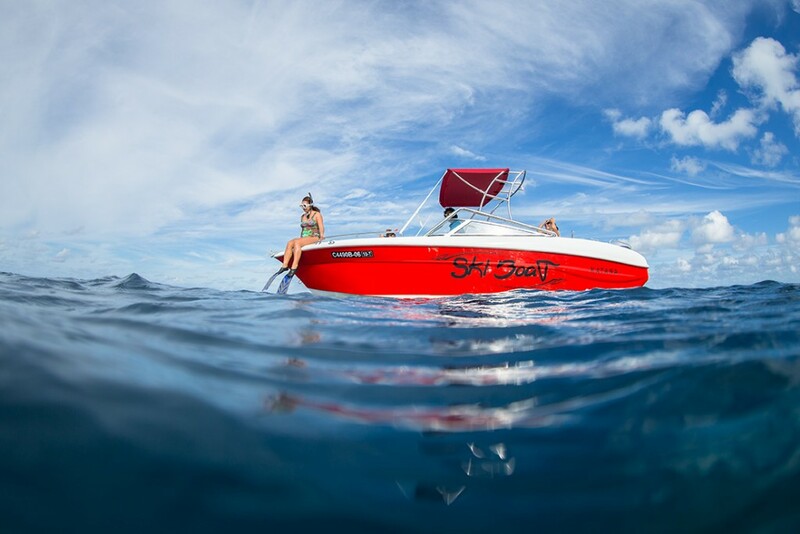 We have formulated some exciting boating packages for you. 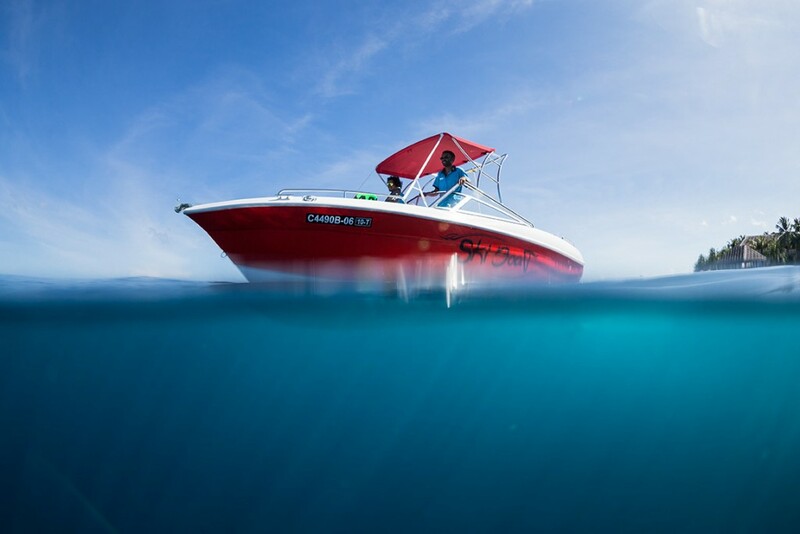 Our speed boat will take you to a nearby reef, where you will be able to explore the reefs, without the hustle and bustle of group activities. The whole boat and reef will be yours to enjoy. For those who want to have a go at driving the boat on their own, guided by our experienced captains, this is the ultimate opportunity. Guests will have the chance to experience high speed maneuvers and practice other skills required to drive a boat. Our team will take you to one of the thousands of sandbanks, where seclusion and privacy is the norm. 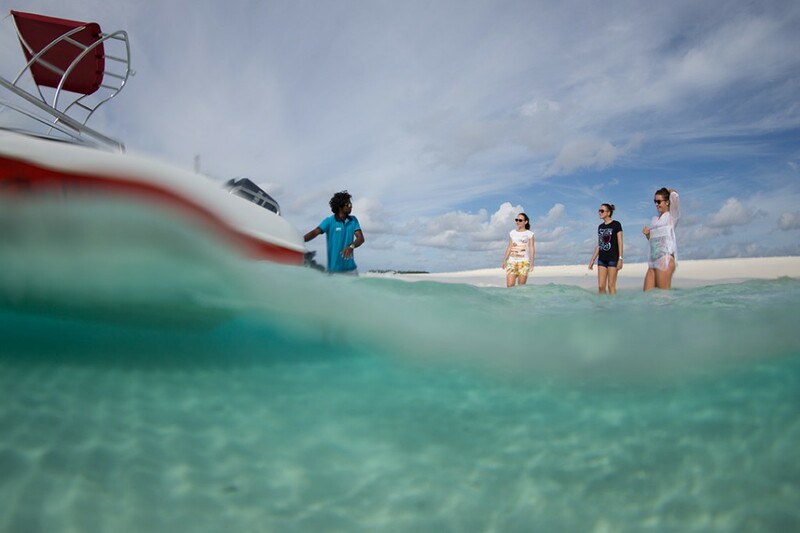 You may opt to go snorkeling and explore the surrounding reef or just enjoy the privacy and a bit of sun on the sandbank.